Emmanuel Macron, President of the French Republic, has given his permission for the famous Bayeux Tapestry to visit England for the first time ever (or rather, for the first time since it was manufactured at Canterbury in the eleventh century, if you subscribe to this theory). Some believe this is an attempt at enticing the Brits to abandon Brexit. If so, perhaps the notice that Winchester has offered to loan the Winchester Round Table to France in response is an attempt at diffusing this. Anthropologically, the Brits will have met their obligation to reciprocate with a similar loan, and they can proceed with Brexit otherwise. (Although Councillor Roy Perry claims that it is only to get the Bayeux Tapestry displayed in Winchester and not in London.) My thanks to Chris Berard for the link. 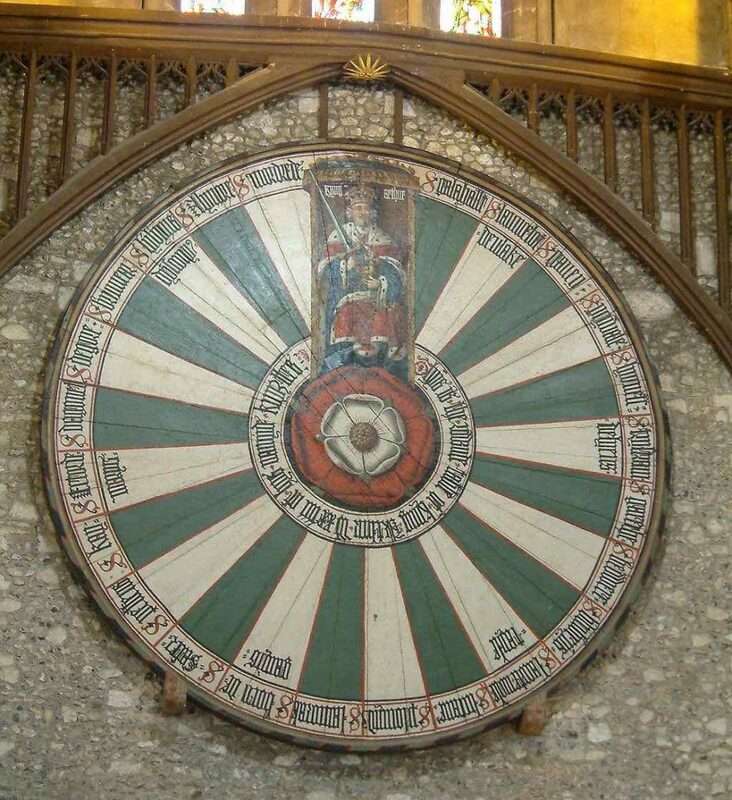 The Winchester Round Table is not really from King Arthur’s reign, of course. It was fashioned during the reign of King Edward I (1272-1307), and painted during the reign of King Henry VIII (1509-47) – thus the famous double “Tudor” rose at the center. It is on display in Winchester Castle. A good book about it is Martin Biddle, King Arthur’s Round Table: An Archaeological Investigation (Boydell, 2000). This entry was posted in Diplomacy, England, France, Politics by jgood. Bookmark the permalink.